The University of Science and Arts of Oklahoma (USAO) takes great pride in planning to ensure the preservation of their campus heritage. 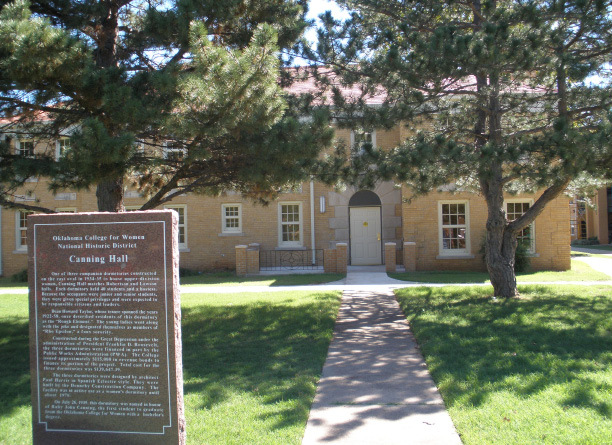 Founded in 1908, the campus is now listed as a Historic District on the National Register of Historic Places. Canning Hall was originally a cottage dormitory built in the 1930s, later becoming the Jane Brooks School for the Deaf. CMSWillowbrook worked around the structure, minimally updating the exterior to keep the historic value intact. The entire two-floor structure's interiors were rebuilt creating a functional training facility for the School for the Deaf.